SpaceWay distorts the landscape by mirroring its surroundings; this creates a glitch in the visual field, inviting curious eyes to look a little closer. 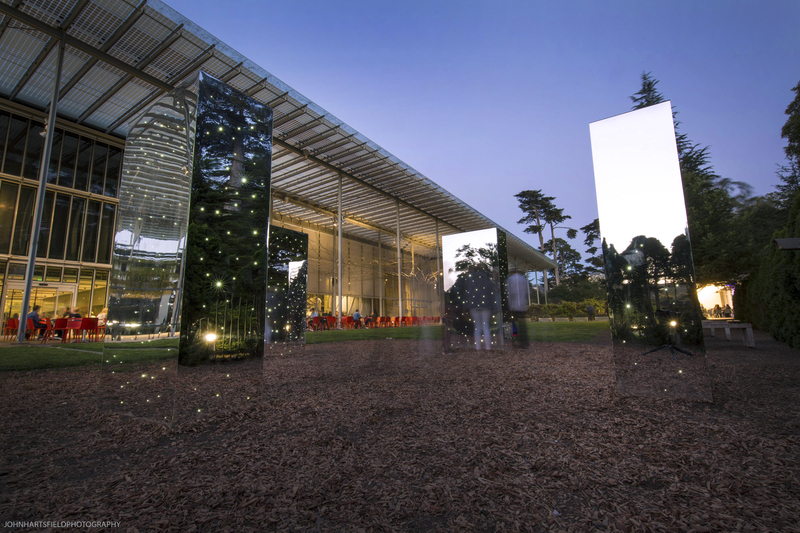 By day, the sculpture plays with natural light and reflections. 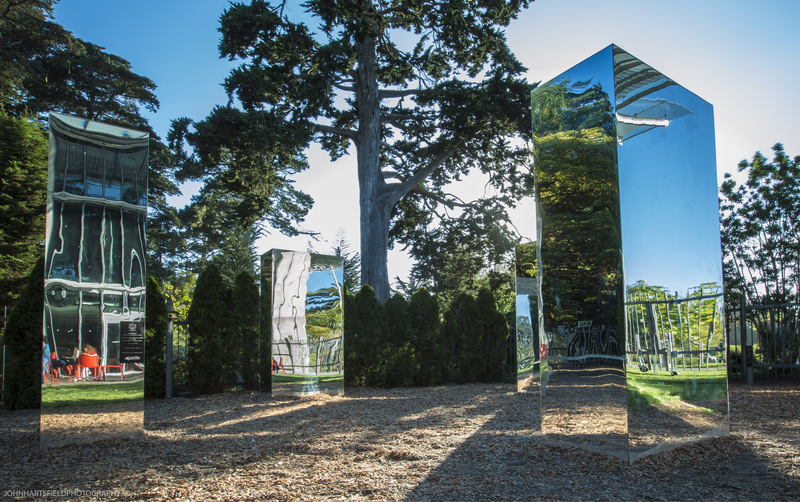 The mirrors create an infinite space between them, altering the spatial perception of the viewer. 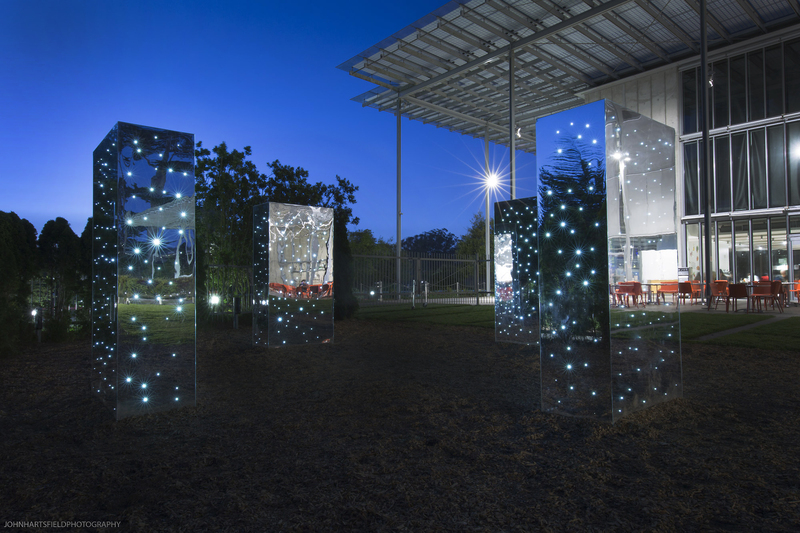 The whole installation transforms at night: the fiber optic lights are lit, evoking an infinity of stars in and between the monoliths: a portal to the Cosmos is opened. This piece invites the viewer to appreciate their existence in relation to the unified field of consciousness we call the Cosmos. It is a call to remind human beings of their minimal, yet powerful existence within the universe.